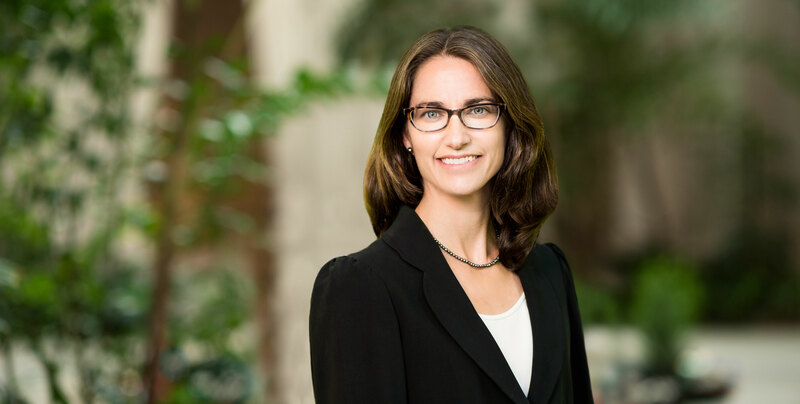 Amy Schoenhard has more than 17 years of experience assisting clients with a broad range of intellectual property needs, including patent preparation and prosecution, coordination of worldwide patent strategies, portfolio management, and due diligence investigations. Amy works with pharmaceutical and biotechnology companies of all sizes, from early-stage start-ups to large, publicly-traded corporations, and helps her clients develop robust and appropriate portfolio strategies to meet their business goals and budgets. Amy’s patent prosecution and due diligence experience covers a wide range of technologies in the fields of chemistry, molecular biology, antibodies, proteins, nucleic acids, diagnostics, pharmaceuticals, and medical devices. Amy helps her clients obtain broad coverage for their strategic assets while preserving patent term. Amy has worked in all phases of intellectual property law, including prosecution, client counseling, and litigation, which allowed her to develop her passion and expertise for both short and long-term portfolio management. Her extensive client counseling experience includes pre-litigation portfolio and due diligence analyses, as well as freedom-to-operate, patentability, validity, and infringement opinion work. Amy’s district court litigation experience includes preparing and defending fact and expert witnesses at deposition and trial; preparing expert discovery; drafting pleadings, motions, and briefs; and preparing for and participating in Hatch-Waxman trials. Prior to joining McNeill Baur PLLC, Amy practiced as an associate, counsel, and partner for over 13 years in the Washington, DC office of Arent Fox LLP. Prior to that, Amy also gained life science patent preparation and prosecution experience working as a summer associate and technical advisor at several intellectual property firms in California and Washington, DC. “Patent Re-examination Procedure as a Litigation Strategy,” Building and Enforcing Intellectual Property Value 2005: 222 (2004) (coauthor). "The Level of Disclosure Necessary for Patent Protection of Genetic Innovations," 22 Nature Biotech. 1307 (2004) (coauthor). "Patentability and Maximum Protection of Intellectual Property in Proteomics and Genomics," Pharmacogenomics 4:81 (2003), revised for a legal audience and reprinted in Biotech. L. Rep. 22:264 (2003) (coauthor). "Egregious Error or Admirable Advance: The Memorandum of Understanding That Enables Federally Funded Basic Human Embryonic Stem Cell Research," Duke L. & Tech. Rev. 37 (2001) (coauthor). "Behavioral Effects of Invermectin in Mice," 49 LAB. ANIM. SCI. 288 (1999) (coauthor). Moderator, "Post-Marketing IP Protection and Enforcement," The Food and Drug Law Institute's "Intellectual Property Throughout the Drug Development Lifecycle: Opportunities and Challenges" Conference Washington, DC, July 17, 2012.